TMJ Injuries - What are they? And does the "cap" apply? If you have been involved in a motor vehicle collision, your doctor or dentist may have mentioned TMJ to you. You may have been referred to a TMJ specialist or be undergoing treatment for a TMJ injury. This blog post will explore the different types of TMJ injuries and how they relate to the minor injury “cap”, particularly in light of recent changes to the MIR. Please note: The information provided on this website does not constitute medical or legal advice and should not be construed as such. The lawyers and staff and Moustarah & Company are not trained medical professionals and do not hold themselves out to be such. If you are suffering from an injury, whether TMJ or otherwise, please contact your doctor or medical care provider. The temporomandibular joint, or the TMJ, is the joint located on either side of the head, in front of the ears. This joint connects the lower jawbone (the “mandible”) to the temporal bone of the skull. The TMJ is a flexible joint and is responsible for controlling jaw movements during chewing, talking and yawning. To learn more about the TM joint and TM joint disorders, click here to visit the Canadian Dental Association‘s page on TMJ. According to a 2017 publication by the U.S. National Institute of Dental and Craniofacial Research and the Office of Research on Women’s Health: TMJ disorders are characterized by jaw pain or surrounding pain and limited movement of the mandible. These disorders can be caused by problems in the temporomandibular joint itself or in the muscles surrounding the joint. TMJ disorders generally fall into three categories – internal derangement, myofascial/myalgic pain, and arthritis. Treatments for TMJ can range from taking pain medications, applying heat or ice and physiotherapy to splint therapy, injections or surgical procedures. Depending on the severity of the TMJ or the type of treatment required, an injured person may be referred to a dental specialist experienced in TMJ. The Minor Injury Regulation applies to compensation for injuries sustained in motor vehicle accidents. 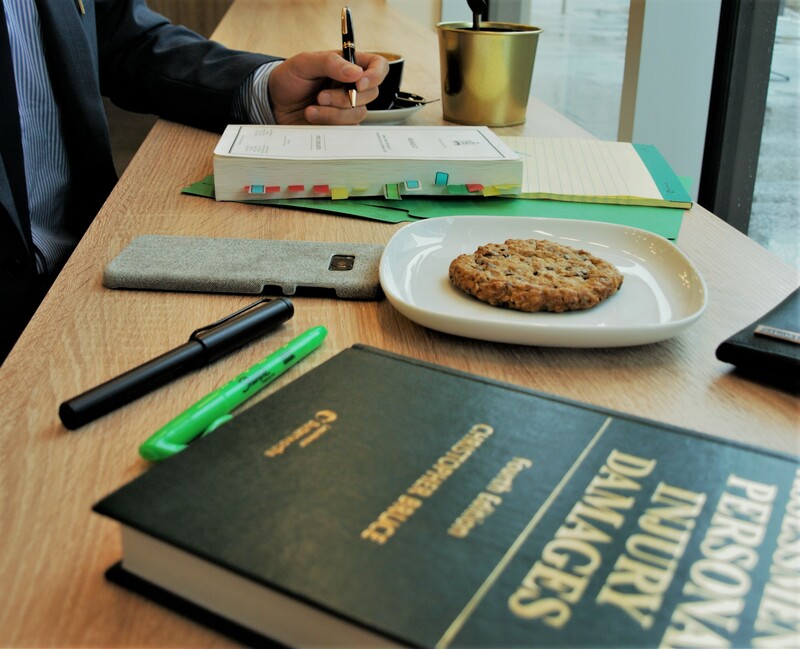 The Minor Injury Regulation places a “cap”, limiting the amount of compensation an injured person can recover for non-pecuniary or general damages (damages for pain and suffering) for so-called “minor injuries”. According to the regulation, minor injuries include sprains, strains, whiplash associate disorders and, now, certain types of TMJ. Recent amendments to the Minor Injury Regulation have now placed some types of TMJ injuries under the “cap”. Compensation for certain types of TMJ injuries that occur on or after June 1, 2018 may now be subject to and limited by the “cap”. Specifically, less severe cases of TMJ or TMJ that consists only of myofascial/myalgic pain, appear to now be capped. The Minor Injury Regulation, as it now stands, states that TMJ injury that involves damage to bone or teeth, or damage to or displacement of the articular disc remains outside of the cap. While the Courts have yet to deal specifically with the issue of whether chronic TMJ pain that is considered a serious impairment will also fall outside of the cap, prior case law reasoning suggests that it likely will. It can be difficult to determine whether an injury falls under or is limited by the “cap”. Since the amendments to the Minor Injury Regulation are recent, there has been limited direction from the Courts as to what types of TMJ injuries are within the cap. A personal injury lawyer can review your medical and dental records to assess the severity of your TMJ injury and make relevant legal arguments on your behalf. If you have questions about the recent amendments to the Minor Injury Regulation and how it might impact your claim, contact a personal injury lawyer to discuss your situation.